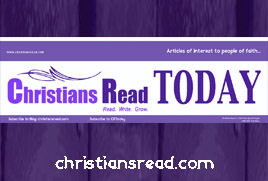 Our Christians Read Blog: Articles written by associated authors on any topic of interest to Christians. New articles appear Monday – Friday. If you’d like the articles emailed to you as they are published, click here.